In 2010 I filmed ten seconds of every single day and edited all the clips together to make an hour-long film, ‘Ten’. The finished film is part home-video, part documentary. It has moments of beauty, like a ladybird climbing a flower in the sunshine, and moments of dull, monotony, namely me putting the shopping away. Together the clips make up an honest, snapshot portrayal of a fairly ordinary year (though there are some surprises along the way). 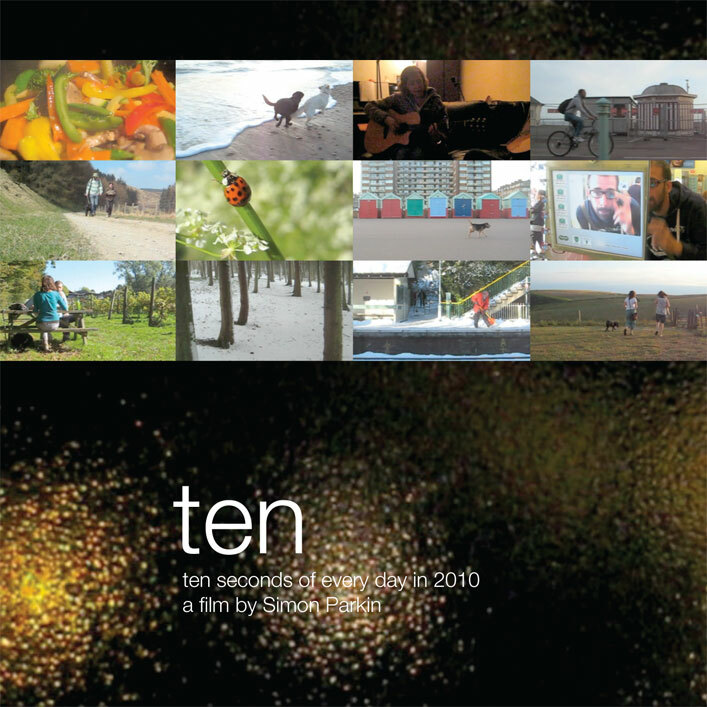 Ten is a social document on life in the early twenty first century; it’s a hypnotic, compelling piece of film and it goes to show how little, and how much, can happen in one year. You can read a full article about Ten here. I presented the film at Studio 106 in Hove and at Shop in Bristol where it got a lovely warm response. For more information ‘like’ the Facebook page. Below is an excerpt of the film by way of the results for January.